Safety is always a priority for GrabAGun. One of the most overlooked aspects of hunting and camping safety is proper lighting—after all, when you’re packing, there is a good chance the lights are on and you don’t think about how dark it’s going to be. With our immense selection of camp lighting products, you will always be prepared for when the lights go out. Don’t be caught unaware by the dark; be ready for all the night has to offer with our catalog of camp lighting products. The most basic and simplest way to manage your camp lighting situation is with flashlights. A variety of sizes and brightness be used to help illuminate your surroundings when the night is too dark to see what you are doing. Conveniently lightweight and easily storable flashlights, along with larger models, can all be found in our inventory. Or, when you want the convenience of having a hands-free light, look to one of our many headlamps. Being able to use both hands as you navigate can be invaluable in some troublesomely dark terrain. If you want to use a broader light source, try one of our lanterns. 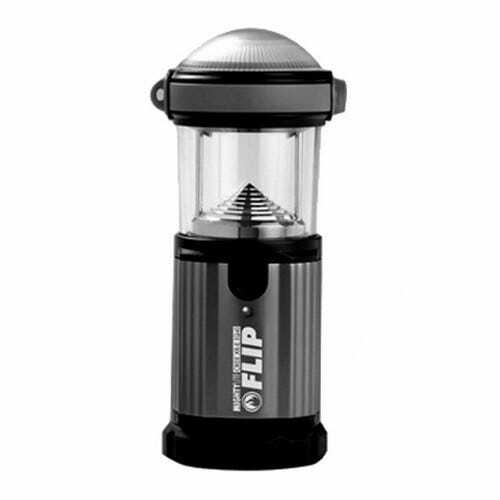 Coming in both an electrical and kerosene options, our lanterns provide a nice glow that illuminates an entire area for your next hunting or camping trip. But, nothing beats a fire for a prime camp lighting source. GrabAGun has a variety of ways to help get your fire roaring during your next camping trip: matches, a strike box, and tinder sticks. One of the best choices for light, it will also be a cozy way to stay warm on those cold nights out in the woods. GrabAGun wants you to be prepared for everything on your hunting and camping trips. When you find yourself in need of a camp lighting source, turn to the place that is the best place for all of your camping, hunting, and firearm needs, turn to GrabAGun.